This a design prototype probably created by Weston, judging from the artist’s hand that placed the many teardrops on the back of the penguin. It is the only known Emperor Penguin created in this style to date and the only known one to be created by Weston. If by chance there is another, we would like to know. We were very young at the time when the ability to readily and inexpensively make records of the work did not exist, and so we reasonably assume that there was not another one done during those very busy days when our parents were working diligently every day to keep this endeavor going. As it stands at 12 inches tall it is a rare and beautiful piece. 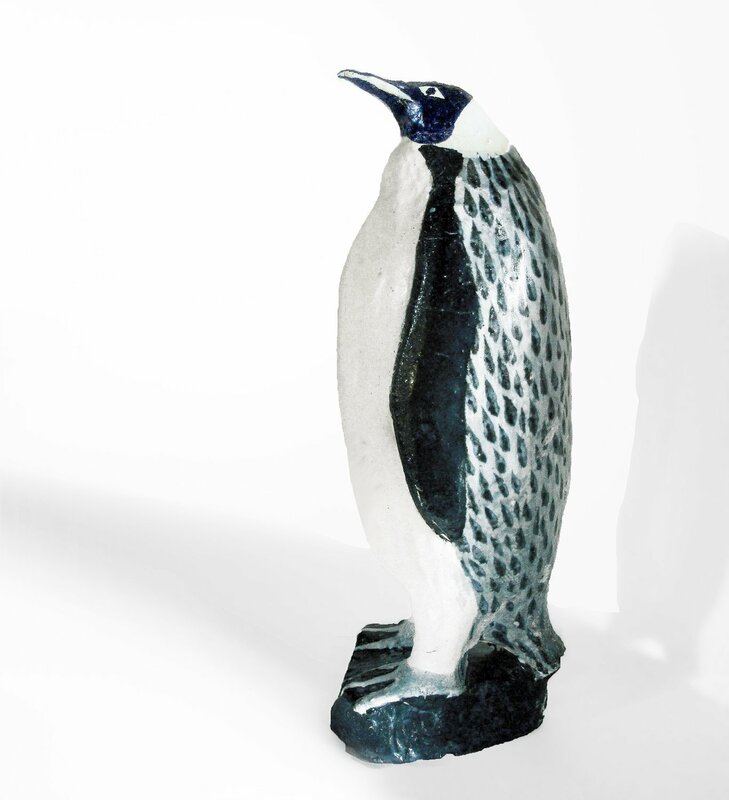 It is slip cast in white stoneware, and hand decorated as a prototype idea of how to decorate the Emperor Penguin. It was decided to go with solid black as a production piece. 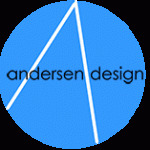 This work was created in the 1960’s or 70’s.